After studying at St. Martins school of Art and the London School of Fashion, LEE BENDER’S name became synonymous with the renowned BUS STOP chain of boutiques which she owned, and for which she designed all the collections, print fabrics and accessories. 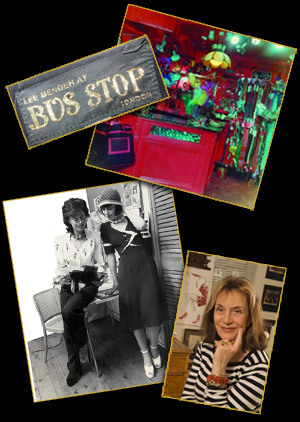 The “LEE BENDER for BUS STOP” label has become a highly collectable 70’s classic, and her work is frequently being displayed in exhibitions at the V&A and the Museum of London. In recent years, LEE has been working as a Design and Fashion Consultant throughout the world, including prestigious projects in Europe, Hong Kong, India, Nepal, Korea and Africa. LEE’s unique illustrations blur the boundaries between fashion and art, offering an alternative to the sameness of so much “computer generated illustration.